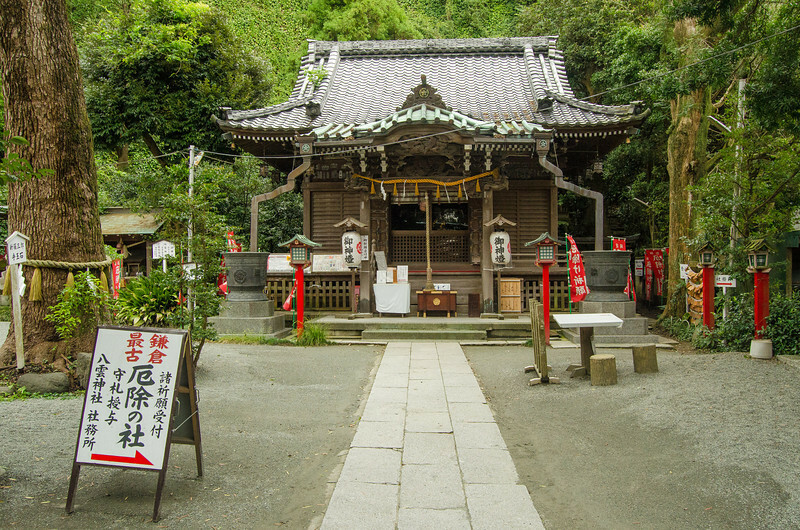 Kamakura is a great option for a day trip out of Tokyo, and is known for its beautiful temples and Giant Buddha. But for those that want a slightly different perspective of the coastal town, there are three fantastic walks located in the area, each only a short distance from the railway station in the middle of town. This walk is the shortest of the three and is probably the closest of the three to the centre of town. Arriving late morning, we did two out of three walks on a single day and found this to be quite comfortable. If we’d arrived earlier in the day I’d be confident in saying that we could have completed all three (for a more casual description of our day in Kamakura have a look here). Trains are relatively frequent to Kamakura. If you have a JR Railpass all you need to do is get to one of the stations on the JR Yokosuka line such as Shimbashi or Shinagawa. As we were staying in Asakusa we walked across to Ueno station and then took the JR Yamanote line to Shinagawa and transferred through. From Shinagawa or Shimbashi you’re looking at just under an hour to Kamakura, while from Ueno it’s another 20-30 mins. 1. Arriving at Kamakura, exit the railway station on the eastern side. There is a visitor centre inside the railway station on that side, but it isn’t in the most obvious location and isn’t very well signposted, so keep your eyes peeled! 2. 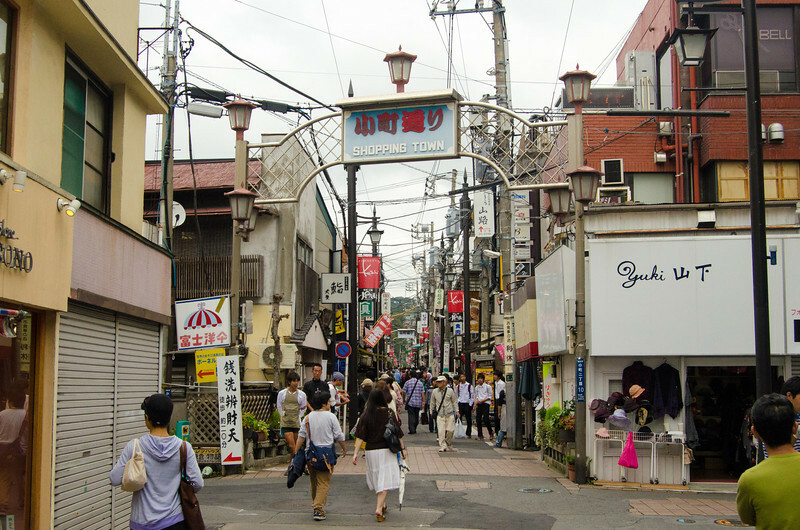 Komachi-dori is a fantastic street full of great little shops, cafes and restaurants catering to both western and Japanese tastes. Walk the length of Komachi-dori until you reach an intersection with a sprawling garden and shrine/temple on the opposite side. Turn right here and follow the streets as shown in the map above. There are some very nice examples of Japanese gardens in many of the front yards of these houses. 3. As you approach the start of the hike you will see a flat piece of land on your left hand side where a temple used to be located until it got burnt down many years ago. 4. 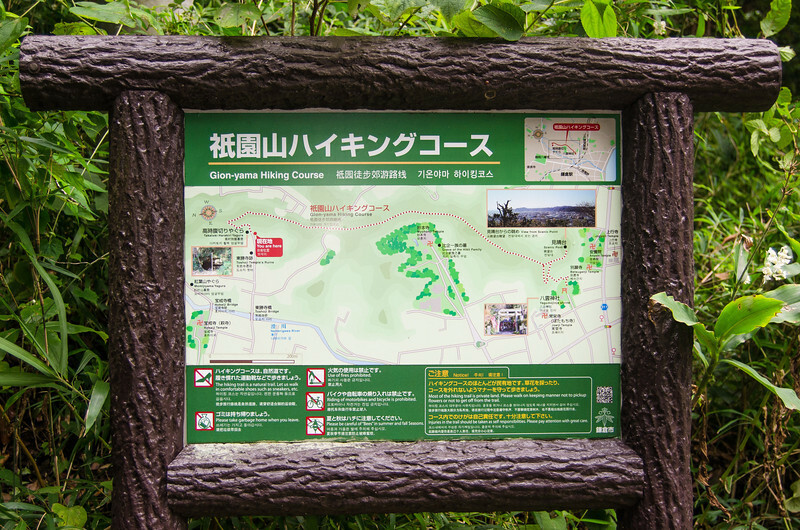 There is also a short path off to the left to a shrine inside a cave. Well worth the 2min detour to have a quick look. 5. The hike commences at the end of the street, climbing and twisting its way up to the ridge line. 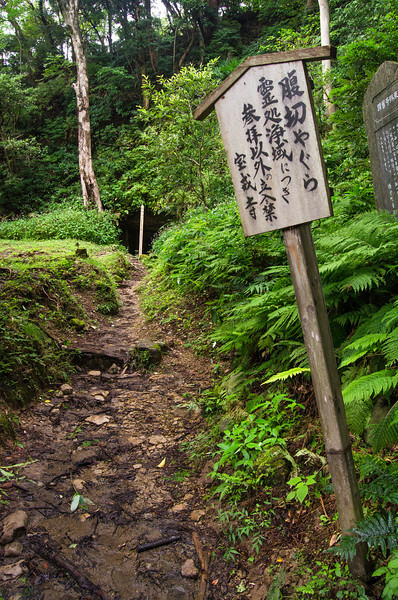 Another small shrine can be seen on the right hand side of the trail just prior to commencing the ascent. For the next 30 minutes you will follow the ridge line, walking along a fairly wide dirt path through the shady forest. A relatively flat walk, you’ll get interesting glimpses through the foliage into the yards and temples below you on either side of the ridge. 6. 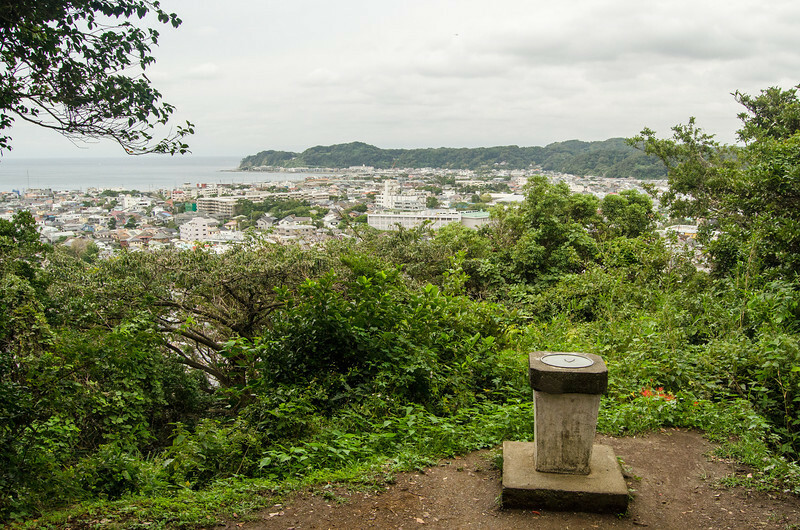 At the end of the ridge there is a concrete plinth and the forest opens up to give you fantastic views to the west and south across Kamakura towards the sea. 7. Turn back along the path and look for the deviation on your left hand side where the track narrows and veers off into the jungle. 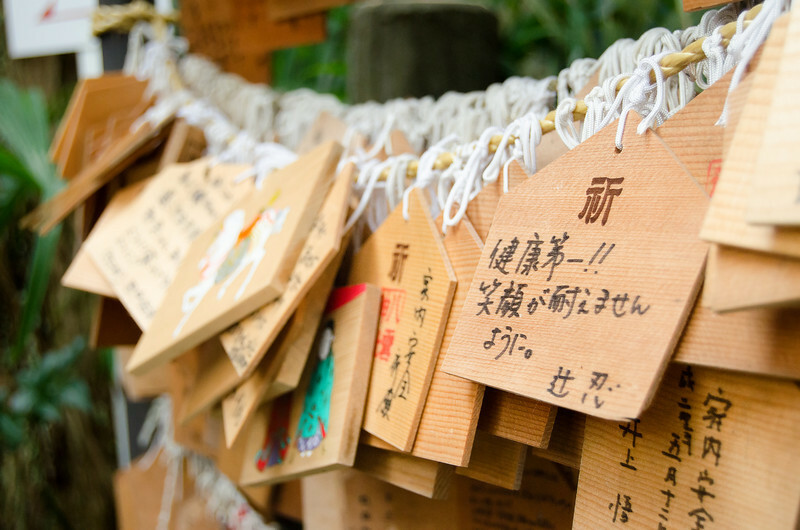 Take this track for another 5-10mins until you reach Yagumojinja temple. The track enters the temple from the rear and takes you past the temple to the street out the front. 8. Again, walking through the suburban streets, make your way back to the railway station in the centre of town. 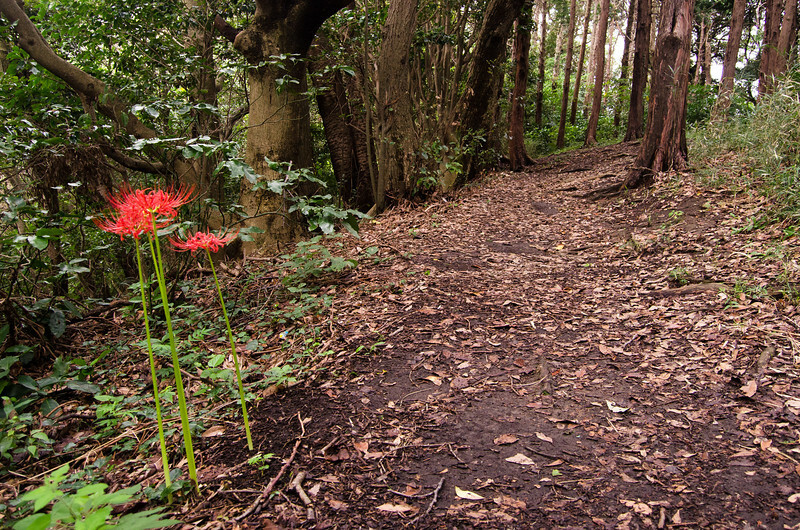 Only taking 1-1.5 hours in total, this walk is perfect for those that don’t have long to spend in Kamakura but would still like to get close to nature. It is also a relatively flat walk, with the only steep sections being quite short and located at the start and finish only. 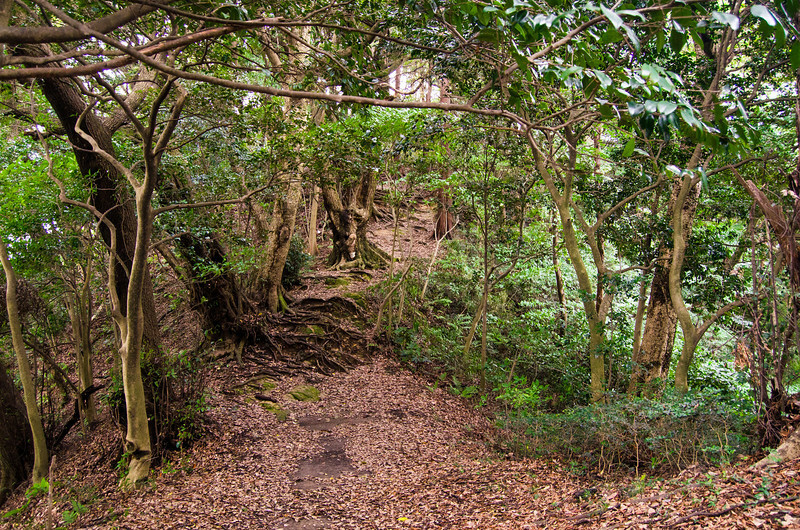 We completed this walk in September and true autumn had not yet arrived in Kamakura. However, photos I have seen from later in the season show that the trees look absolutely spectacular in this region as they change in colour. If possible, I would recommend doing this walk later in the autumn if at all possible.